This article focuses on the exhibition Modern Dutch Design which was presented between November 2016 and June 2017 at The Wolfsonian–FIU museum in Miami Beach, Florida. It will argue that the versatility of the Dutch collection of The Wolfsonian–FIU permits the incorporation of different themes into the general history of modern Dutch design of the period from 1890 to 1940, and that the exhibition exemplified this. After introducing the museum, I shall first pay attention to some of Miami’s history, architecture and design between 1900 and 1940 as the context for the exposition on modern Dutch design. Then I shall elaborate on features and artefacts of the exhibition as well as on the role of the exhibition for specialist design discourse, as opposed to informing non-specialist museum visitors. Not many people from the Netherlands will know The Wolfsonian–FIU museum in Miami Beach, Florida – not even those familiar with modernist decorative art and design between 1890 and 1945. The Wolfsonian–FIU is a typical museum in that it welcomes everyone, from design specialist to beach-lover and party-goer, although it certainly offers them a very different experience from sunbathing and nightlife. The museum occupies a renovated warehouse of the former Washington Storage Company, built in 1926 (figs. 1 and 2). This building on Washington Avenue in the heart of the Art Deco district of Miami South Beach is a five-minute walk from the beach. 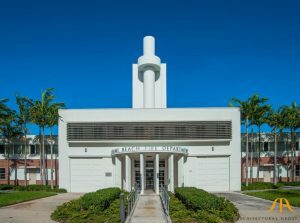 Close by is the Art Deco Welcome Center, which organizes walking tours featuring the historical architecture and design enveloping the Miami Beach culture. Fig. 1: The Wolfsonian–FIU, original building 1926–1927 by Robertson & Patterson, renovated and enlarged by Mark Hampton in 1993–1995, and decorated with designs by Christie van der Haak for the exhibition Modern Dutch Design in 2016–2017. Photograph author. Fig. 2: Ornamental section of the façade of The Wolfsonian–FIU. Photograph author. 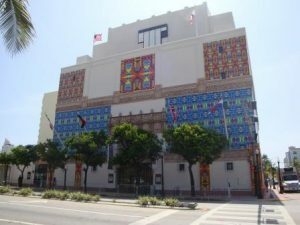 The Wolfsonian offers an in-depth experience of visual and material culture between 1890 and 1945. This is an important period which, it may be argued, in many ways influenced the entire twentieth century and the beginning of the twenty-first century, certainly so in terms of design history and historiography. (1)While the early and ‘new’ 20th century as such finally broke with the historicist design idiom of the 19th century, the First World War compromised much of the optimism of 19th-century technology celebrated by modernism. Following up on this, the Second World War continued to effectuate inhumane atrocities and suffering facilitated by technology and, after that, the Cold War continued to fuel discrimination and political conflict, as well as technological competition between ‘West’ after the 1960s modernism as a powerful and political ideology was gradually attacked by what was later termed postmodernism, a process still ongoing and motivated by postcolonialism and feminism. The museum has an extensive collection of decorative art (fig. 3), sophisticated design artefacts, graphic design, and many other types of object which in general belong to material culture – such as stoves, heaters, lamps, and souvenirs from world exhibitions. (2)For a definition of material culture as opposed to intentional design, see for example Christopher Tilley, Handbook of Material Culture, London: Sage Publications, 2006. Both the artefacts and more mundane material objects signify modernity and functionalist modernism. The main criterion for collecting them is aesthetic, however subjective that may seem. The collection has been assembled by Mr Mitchell Wolfson, Jr, who was born and raised in Miami. 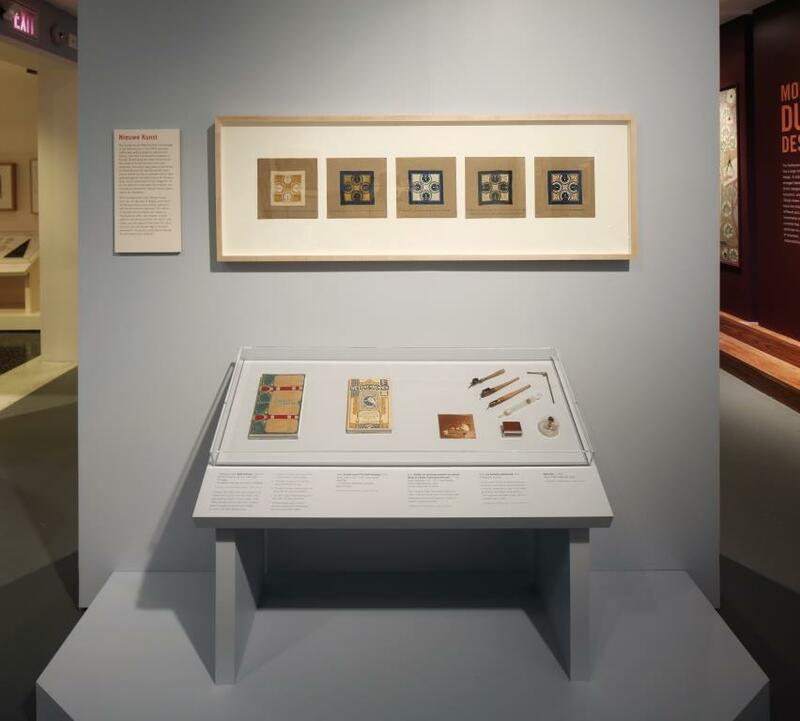 The special focus of the collection is on internationalism, politics, and design and decorative art as expressed through colonialism, socialism and fascism, and travel and design. Paintings and sculptures support these topics, making for an all-round Arts, Crafts, and Design environment (fig. 4). Many artefacts reach out far beyond the international modernist highlights of design and decorative art, even though they still represent stylistic features of this modernism. This makes the collection most valuable, allowing research for books such as Myth+MACHINES. Art and Aviation in the First World War (2014, focusing on the representation of aerial warfare between 1914 and 1918, with essays by Jon Mogul and Peter Clericuzio). Confrontational insights arise from crossovers linking Western European, Caribbean, and North American cultures. The Wolfsonian also hosts the international scholarly Journal of Decorative and Propaganda Arts, which has such themed issues as ‘Florida’ (1998), ‘Design, Culture, Identity’ (2002) and, most recently, ‘Turkey’. Fig. 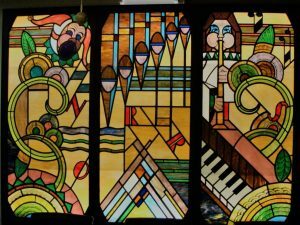 3: Stained- and leaded-glass window, formerly from the foyer of the Norris Theatre, by William Harold Lee, design attributed to Gibelli & Co., Norristown, Pennsylvania, 1929. Courtesy The Wolfsonian–FIU. Photograph author. Fig. 4 : George Snow Hill, Building the Tamiami Trail, St Petersburg, Florida, 1938. Courtesy The Wolfsonian–FIU. The museum has seven floors. The upper three present permanent and temporary exhibitions. The fifth floor offers a permanent display of artefacts from the USA and from countries in Europe. These encompass Arts and Crafts furniture; silverware; objects made of Bakelite, aluminium, and plastics; modern household appliances; and examples of artefacts representing ‘American Moderne’ streamline (fig. 5). A few Dutch pieces are always exhibited in the permanent displays as well. The third floor houses the extensive research library and the collection of books and other printed matter. From these, chief librarian Frank Luca composes small themed displays. These displays tend to connect historical documents to current politics. In November 2016, for example, the themed display was of pre-1945 political pamphlets of campaigns by totalitarian European regimes, inviting comparison with the rhetoric of the US presidential election campaign of Mr. Donald Trump. In May 2017 it exhibited covers of American pulp-crime novels, a topic researched by students from Florida International University. With such thematic presentations the library collection counterbalances the aesthetic as the main criterion for the artefacts. Fig. 5: Section of the 5th floor of The Wolfsonian–FIU with American design from the 1910s to 1940s. Photograph author. Such multifocal perspectives are part of experiencing the museum, specifically when considering the specialist temporary exhibition Modern Dutch Design that The Wolfsonian–FIU presented from 18 November 2016 until 11 June 2017. This focused on Dutch decorative art and design between 1890 and 1940 and drew on their collection. Having been involved with research for this show, I wish to document and contextualize the exhibition in this article. There are a number of reasons why I believe this documenting is important. Firstly, exhibitions are short-term ephemeral events that demand a lot of effort and time to organize, but they are often not extensively documented afterwards. Documentation through photographs and background information may therefore inform later debates about the modes, types, and approaches of museum displays alongside newspaper reviews. Secondly, The Wolfsonian most probably has the largest collection of Dutch artefacts and design from this period outside the Netherlands. As not many people from the Netherlands will have been aware of the exhibition or have visited it, some first-hand insight into the show is of relevance for this particular design history. (3)The exhibition guest book revealed that Miamians, tourists, and visitors from elsewhere in the United States came to see the show. Thirdly, even though postmodern Dutch design may have gained a much more prominent reputation today, design historical perspectives from the more distant past make it interesting to consider this exhibition in this particular location in America. Not only does the Dutch show provide a representative overview of different modes of design in the Netherlands between 1890 and 1940, but it simultaneously allows for a comparison in the light of the entire collection as well as the context of the history of Miami and the multicultural environment of the Caribbean. Miami Beach is well known for the characteristic architecture of the Art Deco Historic District. It has the largest concentration of this decorated modernist-functionalist style in the USA. There are of course many bars and hotels, such as the Netherland Hotel-condominium of figure 6. Why this hotel is called Netherland is not known, but the association with Nether-land as a low and not naturally existing area is geographically plausible because Miami is at sea level (outdone by coastal and western regions of the Netherlands that lie, at their lowest, c. 4 meters below sea level). Metaphorically, a holiday resort is an escape from natural daily life as well (and perhaps it is like hell to some people…). Fig. 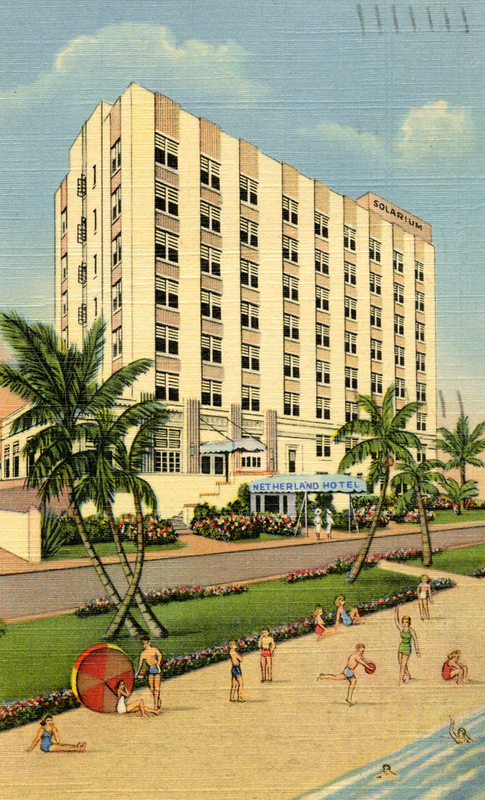 6: Netherland Hotel on Ocean Drive, on a postcard from 1941. Florida Memory State Library and Archives of Florida. Fig. 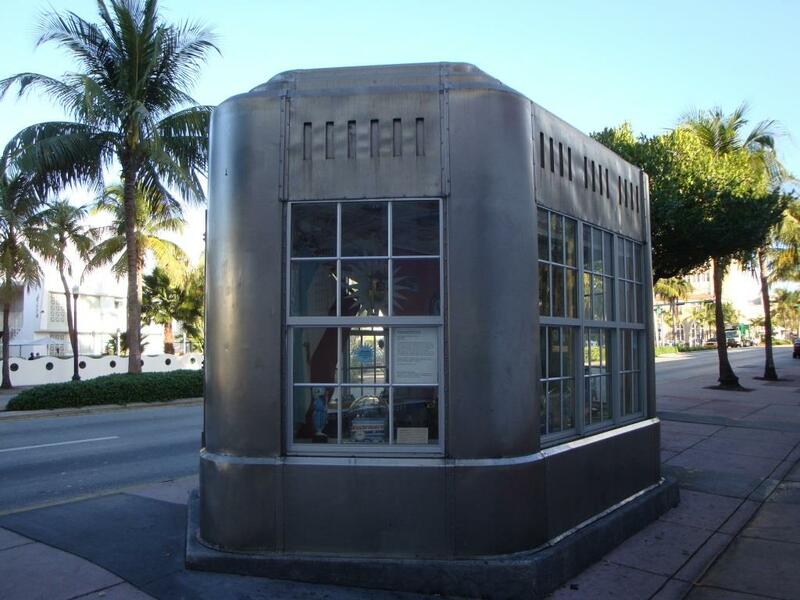 7: Bridge Tender House of stainless steel, 1939, next to The Wolfsonian. Originally designed by Harrington and Cortelyou, Kansas City, Missouri, for the Northwest 27th Avenue Bridge in downtown Miami, now part of The Wolfsonian collection. Photograph author. Besides rows of hotels on the seaside facing the Atlantic Ocean and on the bayside of the island facing downtown Miami, there are many public buildings of wonderful design and (sometimes) interior design, such as the US Post and municipal offices, a bridge house, a fire brigade department, beach patrol headquarters, a cinema, and small shops (figs. 7 to 9). All these buildings have typical international modernist outlines and feature shapes of rectangles, rounded corners, and rather massive clear volumes. They are plastered and painted in white or off-white, and in pastel greens, yellows, and pinks. Some are adorned with streamlined aluminium details. 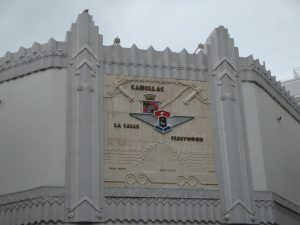 The lettering of company names and sculptural reliefs – such as that for the automobile showroom of Cadillac, LaSalle, and Fleetwood – add further distinction to this modernist architecture, as do steel and aluminium as modernist materials. The architectural shapes and volumes are similar to those of European modernism, of which there are fine examples in the Netherlands as well. The pastel colour schemes, however, are typical of the area and often associated with sun and beach cultures in general (as, for example, in southern Europe and on the west coast of England). Fig. 8: Bas relief picturing cars and aeroplanes on the façade of the former automobile showroom of Cadillac, LaSalle, Fleetwood, c. 1930. Photograph author. Fig. 9: Miami Beach Fire Department, built in 1939 and restored in 2014 by STA Architectural Group, Miami Beach. Photograph Web Florida Trust. The architecture on the relatively small man-made island defined Miami Beach as a fashionable tourist and bathing resort from 1914 onwards and continues to do so today. 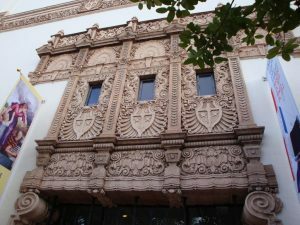 Many individual buildings, as well as the South Beach district as such, have become part of the protected US cultural historic heritage. (4)A Guide to Florida’s Historic Architecture (University of Florida Press, 1989). Barbara Baer Capitman, Deco Delights. Preserving the Beauty and Joy of Miami Beach Architecture, New York: E.P. Dutton, 1988; Steven Brooke, Miami Beach Deco, New York: Rizzoli, 2011. Originally, Miami was a grassy swamp. The area developed only after 1896 when businesswoman Julia Tuttle (1849–1898) persuaded train magnate Henry Flagler (1830-1913) to extend his East Coast railway line further down to south Miami. Thus, Julia Tuttle became the founder of the city of Miami. The climate was at first regarded simply as favourable for citrus fruit, but during the decades that followed it proved to be most attractive for winter tourism from northern states. The first building peak was between 1914 and 1925. Unfortunately, the ‘Great Miami’ hurricane of 1926 caused a lot of damage, and after that the economic depression in the 1930s affected Miami as well. But its reputation as a classy holiday resort survived. In the 1930s and 1940s, Florida citrus postcards – depicting oranges and grapefruit and offering a citrus scent on peeling off a sticker – kept on advertising Miami as ‘The box of fruit I promised you from Florida’ and ‘By “Streamliner” Thru Tropical Florida’, the streamliner being the impressively designed train with its characteristic rounded front (fig. 10). (5)The postcards were produced by the Asheville Post Card Co., North Carolina, and Curteich in Chicago. Reproductions inserted in The Journal of Decorative and Propaganda Arts 1875–1945. Theme Issue Florida, no. 23, Miami: The Wolfsonian Florida International University, Miami, 1998. Fig. 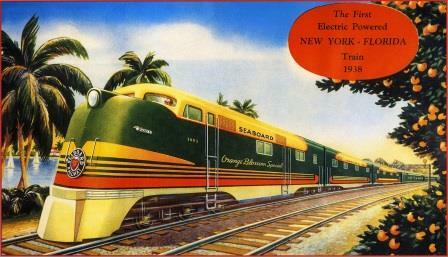 10: Postcard picture of The Orange Blossom Special, ‘The First Electric Powered New York – Florida Train 1938’. At http://www.american-rails.com. Ongoing tourist expansion stimulated a second boom in magnificent hotel buildings in the 1950s. The final boom came in the 1980s when the horizontal profile of the Art Deco district tended to be disrupted by high skyscraper apartments and hotel-condominiums on the southern tip of the island and on the bayside facing downtown Miami. Although there were periods of economic and cultural decline between the 1950s and early 1990s, the built environment of Miami Beach gives a well-restored impression today. Some buildings were refurbished as early as in the 1980s in a postmodern style that seems to match 1930s Miami Beach Deco – such as the Fillmore Gleason Theater, named after 1960s showbiz and TV personality Jackie Gleason. Besides the relatively small Miami Beach island, there is equally interesting architecture and design in Greater Miami. One example is the community of Opa-locka developed in the early 1920s by aviation pioneer Glenn Curtis. It has remarkable buildings and houses in Arab-Moorish style, which, in their time, provided a décor for eccentric Arabian-nights events (fig. 11). (6)An exhibition in June 2013 focused on this architecture. See ‘Opa-locka: Mirage City’, at http://www.historymiami.org/exhibition/opa-locka-mirage-city/ (17 June 2017). Some buildings still need restoration today. Fig. 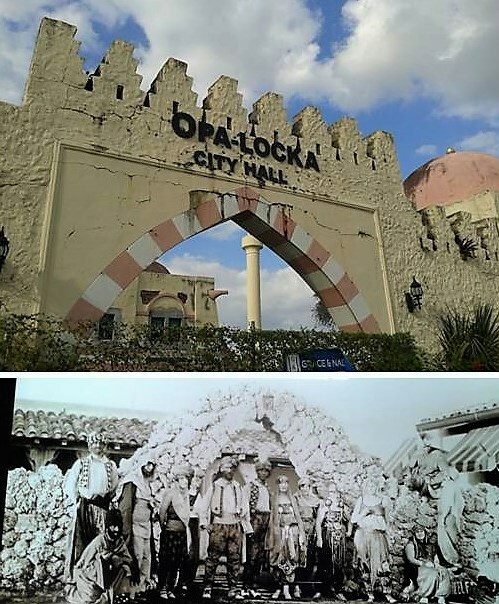 11: Wall round Opa-locka City Hall in Arab-Moorish style, 1926, Miami, Florida. Photo author. Below: Arabian-theme costume party in Opa-locka, photograph from the Miami Herald, 1926. Miami and Miami Beach were founded when the international European and American Arts and Crafts movement and Art Nouveau around 1890 finally managed to overcome the historicist design of the previous century. This movement subsequently inspired pre-1945 modernist twentieth-century design, including the many varieties of 1920s and 1930s Art Deco. 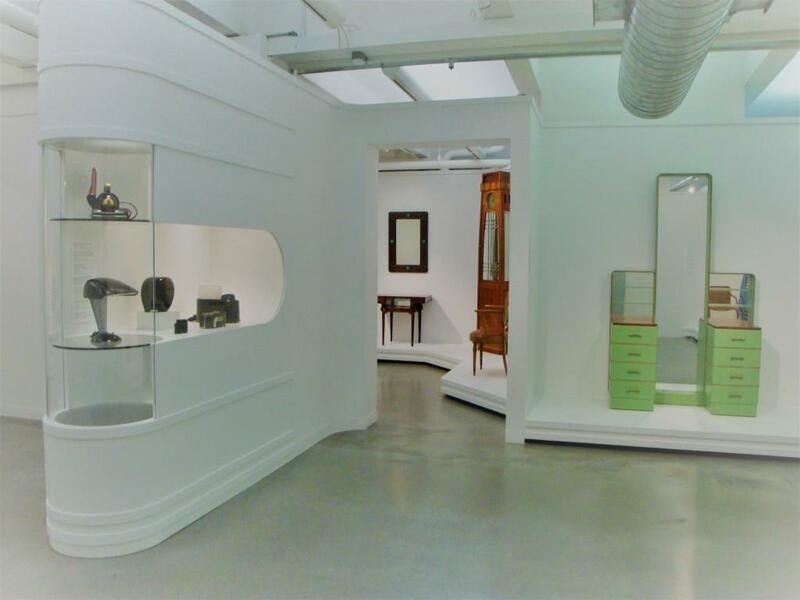 Because The Wolfsonian–FIU collection and location at Miami Beach represent the period between 1890 and 1940, it provided an interesting context for the Modern Dutch Design exhibition. Different geographies, climates, and design cultures of the same period could be compared. The exhibition banner was inspired by a record sleeve advertising the record company Ultraphoon in The Hague and originally designed by Chris Lebeau about 1928 (fig. 12). The show was organized by Silvia Barisione, curator of The Wolfsonian–FIU, who from 2013 led a team of research experts. It opened on 18 November 2016. Fig. 12: Cover of the exhibition book Modern Dutch Design, based on a record sleeve by Chris Lebeau to advertise the record company Ultraphoon, The Hague, c. 1928. Courtesy The Wolfsonian–FIU. When the museum first opened more than two decades ago, in 1995, it produced the overview Designing Modernity. The Arts of Reform and Persuasion 1885–1945, edited by Wendy Kaplan and published by Thames and Hudson. This highlighted design and artefacts in The Wolfsonian’s collection from American states and European countries. It included the essay ‘The Decorative Arts in Amsterdam 1890–1930’ by the Dutch scholar Elanor Bergvelt, who discussed some of the most prestigious and canonic artefacts in the Dutch collection with a focus on Amsterdam as the location of Nieuwe Kunst (New Art, a combination of Arts and Crafts and Art Nouveau) and the Amsterdam School. At the time, the opening and publication received some attention in a Dutch newspaper. (7)Tracy Metz, ‘De Amsterdamse School in de tropen’, NRC Handelsblad Cultureel Supplement, 15 March 1996, p. 7. This publication, which is still available, compares design from the Netherlands with that of other countries. Around 2004 a plan was made to organize an exhibition of modern Dutch design in order to show a larger part of the Dutch collection and update scholarly perspectives and viewpoints which were further articulated after 1995. The museum’s founder, Mitchell Wolfson, Jr., has a special interest in design from the Netherlands because on his first visit to Europe, in the 1950s, he arrived with his parents as a passenger on a ship of the Holland-America line at the Rotterdam sea terminal. In the late 1980s he began to collect Dutch decorative art and design after he had acquired a few extensive collections of Dutch books, magazines, and ephemeral graphic design items such as trade cards, brochures, and trade catalogues. Over the years, the Dutch graphic art and library collection was enlarged with artefacts made of ceramics, glass, and textiles; pieces of furniture; and unexpected items such as commercial displays for exhibitions and show windows. 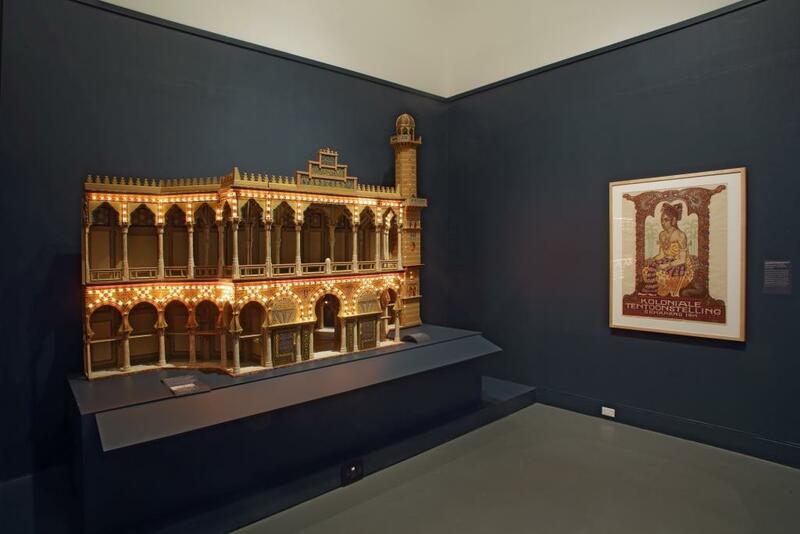 A rare specimen of such a display, which was hard to document but may have been used as an exhibition presentation, is a bazaar-like structure in Moorish style for the tea and coffee company W. Smitts from the early 1890s. It makes a fairy-tale effect when lit by electric lamps around the arches, and must have been quite special for the time (fig. 13). Fig. 13: Exhibition Modern Dutch Design with objects and documentation referring to the Dutch colonies, left a window display or exhibition stand in Moorish style advertising the Dutch company W. Smitts Coffee and Tea, c. 1893, right a poster for the Colonial Exhibition Semarang in 1914. Courtesy The Wolfsonian–FIU. The Wolfsonian–FIU has collected Dutch artefacts within the systematic style categories of acknowledged design movements in the Netherlands, notably Nieuwe Kunst, the Amsterdam School, De Stijl, and functionalist modernism. In addition, it facilitates other perspectives through a thematic focus on topics such as politics and socialism, shipping and travel, the colonies, sports, and trade fairs. Dutch design histories tend to make the particular cultural-historical content of such topics subordinate to stylistic or biographical design narratives. The design-historical framework reduces such contexts by focusing on novelty or aesthetics. Other institutional histories tend to do the opposite. For example, in a political narrative, socialist graphic design is more a topic on its own than a design topic. Design relating to the colonies in any way tends to frame these colonies through western aesthetic norms, whereas colonial connections tend to be theorized differently in colonial museums and exhibitions aiming to discuss the nature and problems of colonization. Shipping and trade feature in shipping museums, along with information about routes and types of ship. Graphic design that advertises travel to the east such as for KLM air transports (fig. 14) and to the south by ocean liners is contextualized differently. Sports are seldom addressed. Fig. 14: Posters for air lines and transport to the Far East, by Danish designer Franciska Clausen for W.H. Müller & Co., c. 1929 (above left); by Jan Wijga for KNILM Royal Netherlands Dutch Indies Airways, c. 1935 (below left); and KLM, c. 1937 (right). Courtesy The Wolfsonian–FIU. The 2016 exhibition and publication indeed grouped artefacts round some of these themes. The exhibits were displayed in seven rooms and small cabinets. The displays featured colonial and intercultural elements with less well-known artefacts concerning trade in goods such as coffee, tea, and cocoa, and sports by way of the Amsterdam Olympics of 1928 (fig. 15). This display showed a remarkable spherical glass vase in the form of a football, an adaptation of canonic ‘high-design’ vases designed by A.D. Copier in the same year which supported aesthetic modernist statements in the home. (8)See Helmut Ricke, A.D. Copier Trilogie in glas, Rotterdam: Uitgeverij ‘De Hef’, 1991, p. 12 (with English texts). Rooms focused on themes such as the annual trade and industries fairs (Jaarbeurs) in Utrecht, including publicity posters of, for example, the Philips Company and specimens by less-known (female) designers Erna van Osselen and Franciska Clausen (figs. 16 and 14 above left). (9)Some of the Dutch posters from The Wolfsonian–FIU collection also feature in the reference work by William W. Crouse, The Art Deco Poster, London: Thames and Hudson, 2013, p. 235 for Clausen. At present, the Municipal Archives in Utrecht are presenting the posters of the trade and industries fair to commemorate its 100th anniversary (1917-2017). Tentoonstelling De mooiste affiches van de Jaarbeurs, 29 June 2017 to 21 January 2018 (part 1 until 3 September 2017). Some of the Dutch posters from The Wolfsonian–FIU collection also feature in the reference work by William W. Crouse, The Art Deco Poster, London: Thames and Hudson, 2013, p. 228-229 for W.F. ten Broek, Adriaan van ‘t Hoff, Johann von Stein, p. 235 for Clausen. Another section highlighted artistic involvement with socialism and the organizations and trade unions that were typically powerful during the early 1900s in the Netherlands. A display on modern factory glass was industrial design focused. Altogether, documentation of the exhibition allows for a mix of contexts and locations, besides offering insight into high-quality design and artefacts from this small European country that was turning from historicist to modernist design after 1890 for an international audience. In so doing, it contributes to the specialist literature that is available in English and Dutch. Fig. 15 Exhibition Modern Dutch Design with objects and documentation referring to the 1928 Olympic Games in Amsterdam. A commemorative spherical vase by A.D. Copier in the form of a football (right) is one of the remarkable exhibits here. Courtesy The Wolfsonian–FIU. Fig. 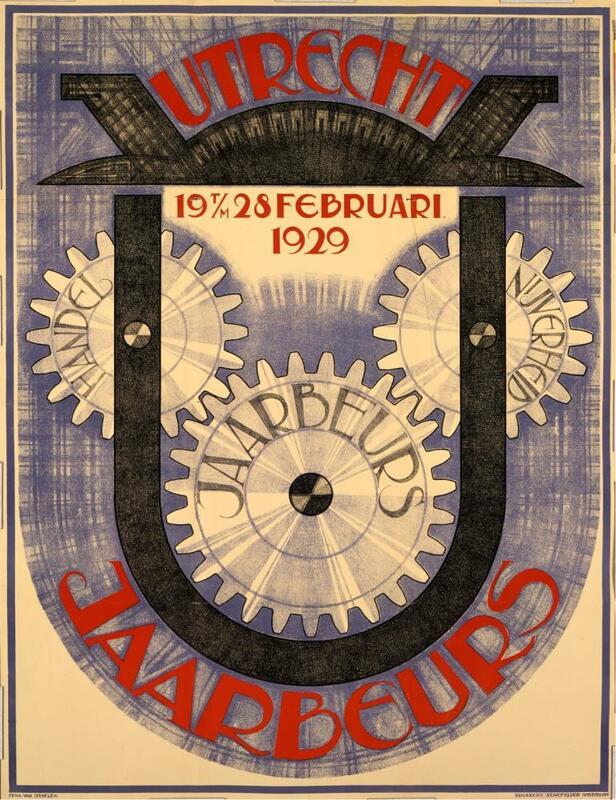 16: Erna van Osselen, poster for the Utrecht Jaarbeurs of 19–28 February 1929. Courtesy The Wolfsonian–FIU. The exhibition’s design concept by Wolfsonian chief designer Richard Miltner presented most artefacts in neutral white and light-grey rooms. Exceptions were a dramatic contrast provided by a dark-green plateau for the powerful expressionist ensemble of Amsterdam School furniture by Michel de Klerk (fig. 17), and a dark blue room offering a display with electric lighting for trade products such as tea, coffee, and cocoa (fig. 13). Being in a design museum, the presentation followed the aesthetic exhibition type, allowing for good observation and documentation of artefacts. (10)Michael Belcher, Exhibitions in Museums, Leicester: Leicester University Press, 1991, pp. 58–66. Belcher defines type as ‘the concept of the exhibition and the response it is intended to elicit from its audience’. He distinguishes types of emotive, didactic, and entertaining character, which may be, and often are, mixed. The aesthetically designed type is emotive and its quiet and neutral presentation form goes back to museum shows of the early 1960s. Most of these exemplified ‘good taste’ design, even though the choice of items reflected the wider scope of the collection criteria. The exhibition design had to work within the limitations of space and the designer valued a minimalist presentation in order to focus on the objects. A more theatrical ‘emotive’ presentation that aims to evoke particular sentiment and imagination – for example by recreating a total environment through full-size blown-up photographs of historical contexts, interiors, and people as actors with whom the audience can identify – is not what the museum wants visitors to expect. (11)Such a theatrical ‘emotive’ presentation was chosen, for example, for the design of the exhibition, Living in the Amsterdam School 1910–1930, at the Stedelijk Museum in Amsterdam from April to August 2016. Belcher (op. cit., note 11, pp. 60–62) calls this type ‘romantic’ and offers examples from the 1980s. Recent examples of far-going theatricality in exhibition design by means of the concept of visitor as actor, lighting, staging, public involvement, interaction, and more, are discussed by Greer Crawley, ‘Staging Exhibitions. Atmospheres of Imagination’, in: Suzanne Macleod, Laura Hourston Hanks and Jonathan Hale, Museum Making: Narratives, Architectures, Exhibitions, Oxford: Routledge, 2012, pp. 12–20. Postmodernism reawakened interest in such modes of presentation. Fig. 17: Exhibition Modern Dutch Design, furniture by Michel de Klerk, with poster for Goethe’s Faust by Richard Roland Holst (left, 1918) and tapestry by Dirk Verstraten (right, 1923). Courtesy The Wolfsonian–FIU. Obviously, the exhibition was didactic – as all exhibitions are – but it was not explicitly educational. Curatorial tags with factual details about exhibits were well provided, contexts of exhibits were given by small contemporary photographs of locations, and general trends and themes were explained, but the museum does not work with audio-visual technologies in support of the learning of visitors. Being object oriented, the objects, as it were, had to invite the visitors to engage with the particular ingenuity, beauty, craftsmanship, or power of design without additional devices for entertainment. (12)See also Belcher, op. cit., note 11, pp. 63, 150–151. I would argue that the context of modernist and Art Deco architecture and the surroundings of Miami Beach support such an aesthetic object-oriented focus, whereby the early years of restrained crafts of the Dutch Nieuwe Kunst and the dark exuberant Amsterdam School seem the most far removed from Caribbean 1920s to 1930s culture. Additional information was provided by a publication with four essays, circa 200 colour photos, and detailed documentation of the exhibits. (13)Silvia Barisione and Jon Mogul., eds., Modern Dutch Design, Miami Beach: The Wolfsonian Florida International University, 2016. Essays by Silvia Barisione, Frans Leidelmeijer, Mienke Simon Thomas, and Marjan Groot. The essays offer a general context and stylistic characterization of design in the Netherlands and focus on particular themes and topics: the influence of the colony of the Dutch East Indies, the importance of nineteenth-century innovative industries vs ‘high’ artistic Arts and Crafts, and women designers as represented by The Wolfsonian–FIU collection. As said, the museum’s permanent exhibitions on the other floors also worked to contextualize this special Dutch show. 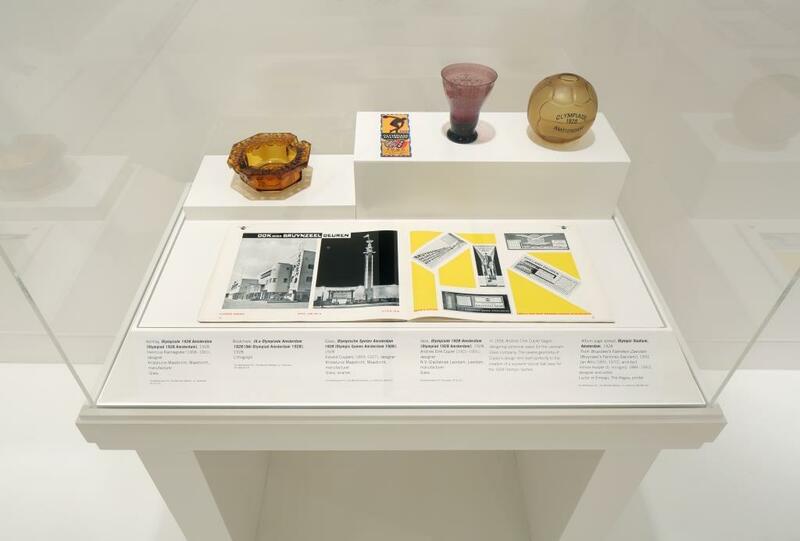 While specialists of subfields in histories of design from the Netherlands may be familiar with many of the exhibits, there is still much for them to learn from The Wolfsonian–FIU collection. Among the unique items to be seen is an interior ensemble designed by Theo Nieuwenhuis (1866–1951) for the lawyer Ferdinand Kranenburg (1870–1949). 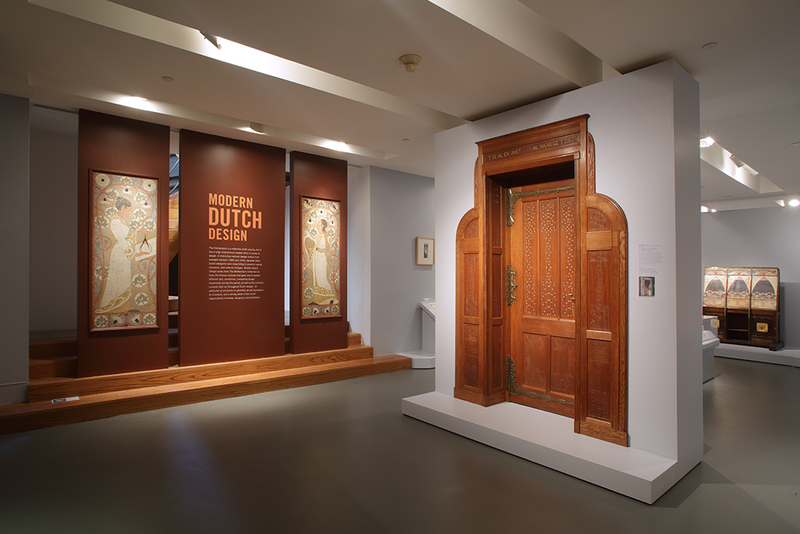 The door of the room, made of oak and fruitwood and embellished with carved decorations of leaves, marked the entrance to Modern Dutch Design (fig. 18). Being too large to exhibit entirely, only parts of the room furnishings were exhibited. It was possible for the ensemble to be acquired by collector Mickey Wolfson in 1989 because it was not protected heritage in the Netherlands and Dutch museums did not appear to be interested in it; they did, however, acquire single pieces of furniture. The fixed pieces were removed from an Amsterdam house and shipped to Miami in parts. One of the doors has been on show in the permanent galleries for many years but other elements were displayed for the first time since the interior’s removal. In Dutch documentation and reference works the ensemble is known from contemporary black-and-white photos. (14)The interior is documented in the platework Kunstnijverheid. Ontwerpen van G.W. Dijssel­hof, C.A. Lion Cachet en T. Nieuwenhuis. Uitgevoerd in de werk­plaats van E.J. van Wisselingh & Co. Twintig afbeeldingen in lichtdruk, Amsterdam: E.J. van Wisselingh & Co., z.j. Plates 4–7. Also in Afbeeldingen naar de werken van Th. Nieu­wenhuis, 1911–15, Amsterdam: E.J. Van Wisselingh & Co, Part II (1912) Plate 15, and Part IV (1914) Plates 13–17. 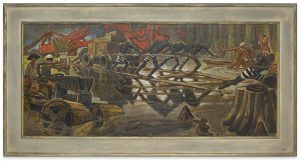 See Hanneke Olyslager, Theo Nieuwenhuis Sierkunstenaar en Meubelontwerper 1866–1951, Rotterdam: Uitgeverij 010, 1991, pp. 29–33, figs. 24–29. An entire later room by Nieuwenhuis in the collection of the Rijksmuseum Amsterdam allows for a good comparison. In its Arts and Crafts design approach it has been considered a major ensemble representing the first seminal years of Nieuwe Kunst. As such, it was discussed in the small monograph about Nieuwenhuis by Hanneke Olyslager in 1991. Fig. 18: Entrance to Modern Dutch Design with parts of an interior by Theo Nieuwenhuis. In the background a section of the second exhibition room with a display of hand-crafted furniture, book covers, and batik artefacts of Nieuwe Kunst design. Courtesy The Wolfsonian–FIU. The interior is from 1899 to 1901 and was an office and study in Amsterdam on Keizersgracht 698. Nieuwenhuis’ patron Kranenburg studied law in the northern city of Groningen before establishing himself as a lawyer and procurer in 1895 in Amsterdam. (15)Ellinoor Bergvelt, ‘The Decorative Arts in Amsterdam 1890–1930’, in: Wendy Kaplan, ed., Designing Modernity. The Arts of Reform and Persuasion 1885–1945, London: Thames and Hudson, 1996, pp. 78–109. For the art dealer as the patron of Nieuwenhuis: J.F. Heijbroek and E.L. Wouthuysen, Portret van een kunsthandel 1838–heden. De firma Van Wisselingh en zijn compagnons, Zwolle: Waanders Uitgevers/Rijksmuseum Amsterdam, 1999, pp. 154, 170–171. He seems to have used the office for about five years. The Wolfsonian–FIU has an oak dado, two doors, and ceiling panelling, and a chimney decoration of carved marble slabs and mosaic panels. Although the craftsmanship is of very high quality, Nieuwenhuis’ designs on the whole are restrained and appear rather ‘historical’ when compared to fashionable curvilinear French Art Nouveau or German Jugendstil of the time. Such a restrained modernity, however, was the main feature of particular forms of Dutch design around 1900. The exhibition of parts of the interior made visible for the first time the inscriptions which were carved on the door and some of the furnishing panels; this information came to light only when the pieces were in the process of being installed. The inscriptions are likely to refer to the profession and mindset of the patron in his time. Above the door are the gilded lines: ‘’t is al en niet al naar ge ’t ziet’ (fig. 19). (16)A black-and-white photograph in Kunstnijverheid, op. cit., note 15, Plate 6. The room is also briefly discussed in Bergvelt, op. cit., note 16, pp. 93–94. This may be a free Dutch adaptation of the words which Hamlet spoke to the courtiers Rosencrantz and Guildenstern in Shakespeare’s tragedy when, knowing that his stepfather murdered his father and married his mother in order to rule, he compares his own position as future ruler of Denmark to a prison, and considers ambitions to be a dream: ‘for there is nothing either good or bad, but thinking makes it so’. (17)‘Hamlet, Prince of Denmark’, in The Complete Works of William Shakespeare edited with a Glossary by W.J. Craig, London: Geoffrey Cumberlege, Oxford University Press, 1954 (reprint from 1894), p. 882 (Act II Scene II, line 257). The Dutch adaptation would then appear to have been generalized to indicate the value of different perspectives in particular circumstances by leaving out the explicit moral designations ‘good’ and ‘bad’. Fig 19a and 19b: Detail of the door from the furnishings for Ferdinand Kranenburg designed by Th. Nieuwenhuis, oak and fruitwood. The text reads: ‘t is al en niet al naar ge ’t ziet. Below: panel with inscription from the furnishings for Ferdinand Kranenburg designed by Th. Nieuwenhuis, oak and fruitwood. Courtesy The Wolfsonian–FIU. met arbeid en kwelling des geestes [of toil and a striving after wind]. (19)English Standard Version, Ecclesiastes IV:5, at https://www.esv.org/Ecclesiastes+1/ (1 June 2017). Since scholars have analysed the material culture and art of the sixteenth and seventeenth centuries in the Netherlands, it is tempting to consider such wise moralities as stereotypical, essential to Dutch culture and society in general and to Calvinist influence in particular. (20)A well-known study including such an analysis was by Simon Schama, Embarrassment of Riches. An Interpretation of Dutch Culture in the Golden Age, New York: Alfred A. Knopf, 1987. Referencing this culture in what appears to be appropriate contexts such moralities are re-evoked by Dutch fin de siècle art and design. Surely they seem to be miles away from Miami’s sunny beach, hotel, and club cultures. Nonetheless, we should not be mistaken about the grip of religion on communities in the USA and elsewhere as well. Although design histories tend to disconnect design from traditional religion, focusing more on the spirituality surrounding theosophy (to which the exhibition also devoted a display), Miami did and does have multiple religious communities that must have been aware of similar life lessons when they modified the religious legacies of European immigrants in the past. To regard cities such as Miami (or New York) as worldly havens only is to show just one side of the picture. Equally interesting items of some twenty years after the Nieuwe Kunst interior are a series of extremely rare batik proofs by a woman designer called Ilse Stemmann (fig. 20). These were exhibited in a room focusing on Nieuwe Kunst furniture and objects decorated with the technique of batik as one of the orientalist elements incorporated into Nieuwe Kunst. Though they date from the 1920s, Stemmann’s proofs are much indebted to the regularity, clarity, and abstraction of design principles from 1900 onwards. A display below Stemmann’s proofs explained the technique of batik and showed the tools. Stemmann was a craft-designer who exhibited regularly in the 1920s in The Hague area and her work met with the approval of contemporaries. However, very few specimens of her work have survived and she therefore has been largely unaddressed in histories of Dutch design in the 1920s. Fig. 20: Exhibition display of batik technique with, above it, five batik proofs on textile by Ilse Stemmann. Courtesy The Wolfsonian–FIU. Dutch design from the 1920s and 1930s appears to fit in more easily with Miami Art Deco. A pewter vase by Chris van der Hoef appears as a streamlined artefact that might adorn a beach hotel. A final example is functionalist graphic design, also called New Typography. At the show this was represented by canonic and less-canonic examples of advertisements, brochures, posters, and journals. (21)It is interesting to compare these with the exhibition Modernism: in print. Dutch Graphic Design 1917–2017, on view in the Special Collections Library of the University of Amsterdam from 16 June until 1 October, 2017. The record sleeve used for the exhibition publication cover is an example (fig. 12), as is a collection of coffee and tea wrappers and adverts by Jac. Jongert for the Van Nelle brand of tobacco, coffee, and tea (fig. 21). Some of these designs are probably quite rare. (22)Jongert’s work for Van Nelle and comparable designs in Wilma van Giersbergen et al., Jac. Jongert 1883–1942 ‘proeven is koopen’, Rotterdam: Museum Boijmans Van Beuningen, 2009, p. 150, fig. 180, and p. 172, figs. 234, 235 designs for displays. Knowledge of their existence is relevant to the equally rare enamel advertising plaques on tram wagons preserved at the Tram Museum in The Hague. Fig. 21: Jac. Jongert, Van Nelle. Bijzonder aanbevolen. Vers voorradig (Van Nelle. Highly Recommended. For Sale), c. 1933 (attributed). Courtesy The Wolfsonian–FIU. In evaluating the exhibition Modern Dutch Design, it is important to stress the significance of this history of design for the Netherlands. It may be regarded as an honour to have these design and decorative artefacts from a small (‘second’) country of the Netherlands collected and on show in the USA. Outside the circle of specialists and beyond academic discourse, people have little awareness of the existence of such artefacts, or of their impact on the discourse among designers at the time of their creation and on later canonic formation of design historiography. The Dutch language is of course a barrier, and it is important to realize that the discourse on design has been quite limited and still is so today. When guiding two public tours round the exhibition, I noticed that audiences do not necessarily know much about design. To most of them the Red-Blue chair (1923) and the Zigzag chair (1932) by Gerrit Rietveld were unknown, though both are considered as icons in a great many international design histories. (23)The Wolfsonian does not have these chairs in its collection and borrowed them from the Kirkland Museum of Fine and Decorative Art, Denver. People were, however, captivated by the aesthetics and informative content of what they saw, and after some additional explanation could understand the significance of both chairs. They could also understand how specimens of Amsterdam School typography and covers of the journal Wendingen from 1918 seem to bridge a time gap that led to 1960s countercultures. And they appreciated the international character of Wendingen, to which the issues around the stellar American architect Frank Lloyd Wright testified. In this sense the aesthetics of the show were purely moral didactic. (24)See Belcher, op. cit., note 11, pp. 62–64. Hence my argument that exhibiting design scores many goals in one and appeals to different audiences. Whereas museums, libraries, archives, and private collectors in the Netherlands have excellent collections which demand quite specialist scholarship in order to understand fully their contribution to design history, exhibitions such as Modern Dutch Design in The Wolfsonian–FIU add to existing knowledge by offering experience of such artefacts in another cultural setting. They enable specialists to focus simultaneously on designers and perspectives in more detail. When Miami’s South Beach culture makes for an interesting confrontation with a high-quality collection, differences become striking. Specialists tend to discard this public function and wider effect of museum displays. Fig. 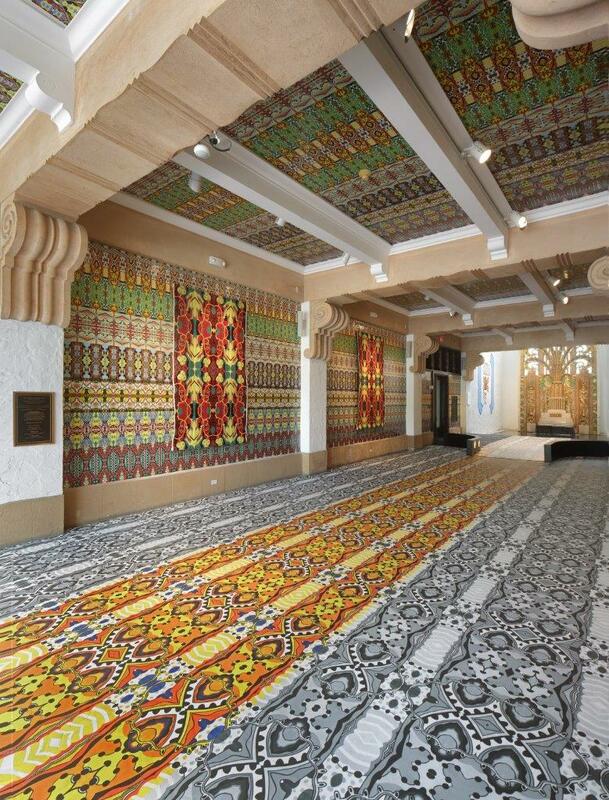 22: main entrance hall of The Wolfsonian–FIU transformed with pattern designs by Christie van der Haak to highlight the exhibition Modern Dutch Design. Courtesy The Wolfsonian–FIU. While the design of Modern Dutch Design inside the Wolfsonian held on to a rather formal aesthetic display and underlined a quite specialist take on the exhibited artefacts, an installation by contemporary artist-designer Christie van der Haak went for an instant striking visual effect in the museum’s entrance hall and on the outside façade. She covered both with bold multicoloured pattern designs (figs. 1 and 22). (25)See at http://www.architecturaldigest.com/contributor/s-harris, posted 31 October 2013 (19 July 2017). Since 2013, Van der Haak’s textile patterns have also been produced in Oklahoma by the manufacturer S. Harris. Her intervention subverted the restrictive modernist slogan ‘less is more’ – coined by the German functionalist architect Ludwig Mies van der Rohe for 1920s architecture and design, and also applicable to Dutch modernist designs – into ‘more is more’. In a metaphorical sense the hyperbolic ‘more is more’ may be said to celebrate postmodern cultural diversity. (26)Interestingly, the exhibition Modernism: in print (see note 21) offers a similar contrast of the modern and postmodern by ending with a room installation that has ‘psychedelic’ designs by the graphic designer Hansje van Halem in effect referencing the late 1960s. 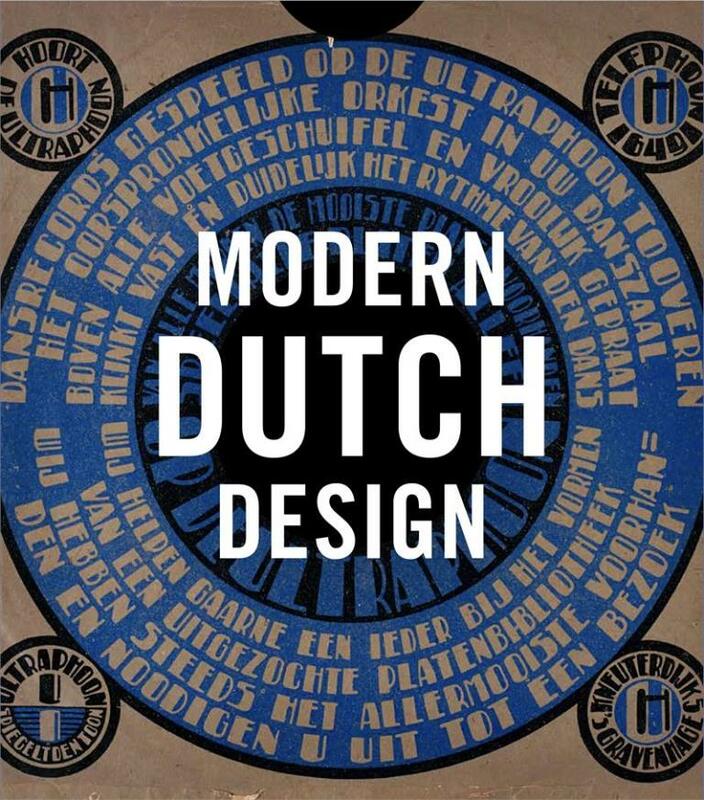 Canonical narratives on 1920s European modernist design seem to deny such diversity in favour of a uniform International Style, but we saw it re-introduced by the many-sidedness of The Wolfsonian–FIU collections and some of the Dutch items on view at Modern Dutch Design. Complexity and contradiction belongs to design from any historical period; indeed, it is even mirrored by the ornamental section of the Wolfsonian–FIU façade resonating in Van der Haak’s design (fig. 1). The intervention by Christie van der Haak was removed after the finishing of the exhibition. 1. ↑ While the early and ‘new’ 20th century as such finally broke with the historicist design idiom of the 19th century, the First World War compromised much of the optimism of 19th-century technology celebrated by modernism. Following up on this, the Second World War continued to effectuate inhumane atrocities and suffering facilitated by technology and, after that, the Cold War continued to fuel discrimination and political conflict, as well as technological competition between ‘West’ after the 1960s modernism as a powerful and political ideology was gradually attacked by what was later termed postmodernism, a process still ongoing and motivated by postcolonialism and feminism. 2. ↑ For a definition of material culture as opposed to intentional design, see for example Christopher Tilley, Handbook of Material Culture, London: Sage Publications, 2006. 3. ↑ The exhibition guest book revealed that Miamians, tourists, and visitors from elsewhere in the United States came to see the show. 4. ↑ A Guide to Florida’s Historic Architecture (University of Florida Press, 1989). Barbara Baer Capitman, Deco Delights. Preserving the Beauty and Joy of Miami Beach Architecture, New York: E.P. Dutton, 1988; Steven Brooke, Miami Beach Deco, New York: Rizzoli, 2011. 5. ↑ The postcards were produced by the Asheville Post Card Co., North Carolina, and Curteich in Chicago. Reproductions inserted in The Journal of Decorative and Propaganda Arts 1875–1945. Theme Issue Florida, no. 23, Miami: The Wolfsonian Florida International University, Miami, 1998. 6. ↑ An exhibition in June 2013 focused on this architecture. See ‘Opa-locka: Mirage City’, at http://www.historymiami.org/exhibition/opa-locka-mirage-city/ (17 June 2017). 7. ↑ Tracy Metz, ‘De Amsterdamse School in de tropen’, NRC Handelsblad Cultureel Supplement, 15 March 1996, p. 7. 8. ↑ See Helmut Ricke, A.D. Copier Trilogie in glas, Rotterdam: Uitgeverij ‘De Hef’, 1991, p. 12 (with English texts). 9. 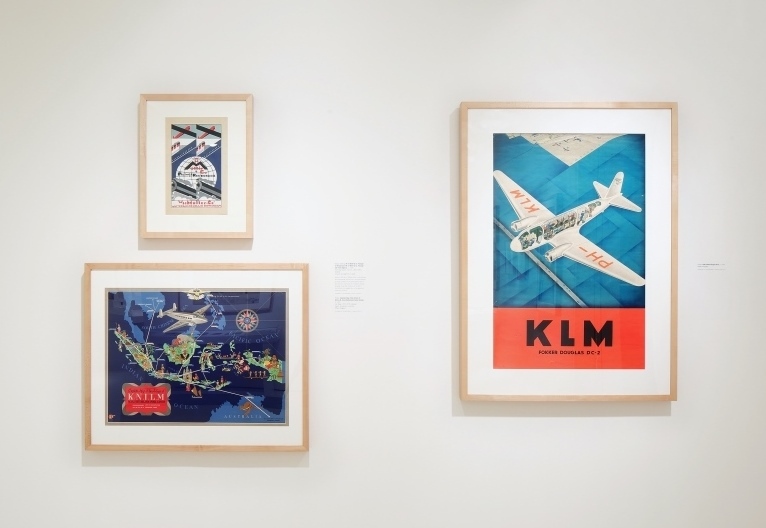 ↑ Some of the Dutch posters from The Wolfsonian–FIU collection also feature in the reference work by William W. Crouse, The Art Deco Poster, London: Thames and Hudson, 2013, p. 235 for Clausen. At present, the Municipal Archives in Utrecht are presenting the posters of the trade and industries fair to commemorate its 100th anniversary (1917-2017). Tentoonstelling De mooiste affiches van de Jaarbeurs, 29 June 2017 to 21 January 2018 (part 1 until 3 September 2017). Some of the Dutch posters from The Wolfsonian–FIU collection also feature in the reference work by William W. Crouse, The Art Deco Poster, London: Thames and Hudson, 2013, p. 228-229 for W.F. ten Broek, Adriaan van ‘t Hoff, Johann von Stein, p. 235 for Clausen. 10. ↑ Michael Belcher, Exhibitions in Museums, Leicester: Leicester University Press, 1991, pp. 58–66. Belcher defines type as ‘the concept of the exhibition and the response it is intended to elicit from its audience’. He distinguishes types of emotive, didactic, and entertaining character, which may be, and often are, mixed. The aesthetically designed type is emotive and its quiet and neutral presentation form goes back to museum shows of the early 1960s. 11. ↑ Such a theatrical ‘emotive’ presentation was chosen, for example, for the design of the exhibition, Living in the Amsterdam School 1910–1930, at the Stedelijk Museum in Amsterdam from April to August 2016. Belcher (op. cit., note 11, pp. 60–62) calls this type ‘romantic’ and offers examples from the 1980s. Recent examples of far-going theatricality in exhibition design by means of the concept of visitor as actor, lighting, staging, public involvement, interaction, and more, are discussed by Greer Crawley, ‘Staging Exhibitions. Atmospheres of Imagination’, in: Suzanne Macleod, Laura Hourston Hanks and Jonathan Hale, Museum Making: Narratives, Architectures, Exhibitions, Oxford: Routledge, 2012, pp. 12–20. Postmodernism reawakened interest in such modes of presentation. 12. ↑ See also Belcher, op. cit., note 11, pp. 63, 150–151. 13. ↑ Silvia Barisione and Jon Mogul., eds., Modern Dutch Design, Miami Beach: The Wolfsonian Florida International University, 2016. Essays by Silvia Barisione, Frans Leidelmeijer, Mienke Simon Thomas, and Marjan Groot. 14. ↑ The interior is documented in the platework Kunstnijverheid. Ontwerpen van G.W. Dijssel­hof, C.A. Lion Cachet en T. Nieuwenhuis. Uitgevoerd in de werk­plaats van E.J. van Wisselingh & Co. Twintig afbeeldingen in lichtdruk, Amsterdam: E.J. van Wisselingh & Co., z.j. Plates 4–7. Also in Afbeeldingen naar de werken van Th. Nieu­wenhuis, 1911–15, Amsterdam: E.J. Van Wisselingh & Co, Part II (1912) Plate 15, and Part IV (1914) Plates 13–17. 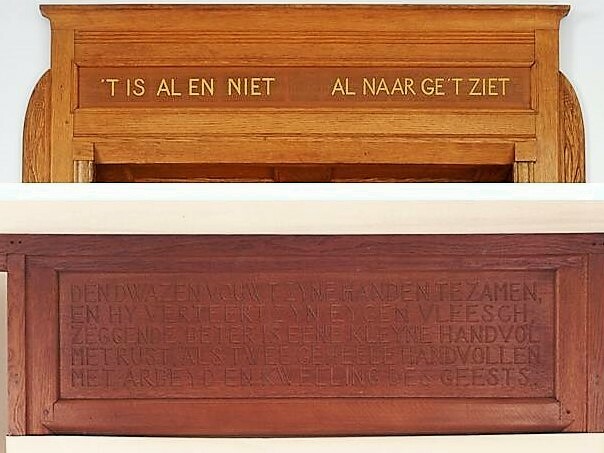 See Hanneke Olyslager, Theo Nieuwenhuis Sierkunstenaar en Meubelontwerper 1866–1951, Rotterdam: Uitgeverij 010, 1991, pp. 29–33, figs. 24–29. An entire later room by Nieuwenhuis in the collection of the Rijksmuseum Amsterdam allows for a good comparison. 15. ↑ Ellinoor Bergvelt, ‘The Decorative Arts in Amsterdam 1890–1930’, in: Wendy Kaplan, ed., Designing Modernity. The Arts of Reform and Persuasion 1885–1945, London: Thames and Hudson, 1996, pp. 78–109. For the art dealer as the patron of Nieuwenhuis: J.F. Heijbroek and E.L. Wouthuysen, Portret van een kunsthandel 1838–heden. De firma Van Wisselingh en zijn compagnons, Zwolle: Waanders Uitgevers/Rijksmuseum Amsterdam, 1999, pp. 154, 170–171. 16. ↑ A black-and-white photograph in Kunstnijverheid, op. cit., note 15, Plate 6. The room is also briefly discussed in Bergvelt, op. cit., note 16, pp. 93–94. 17. ↑ ‘Hamlet, Prince of Denmark’, in The Complete Works of William Shakespeare edited with a Glossary by W.J. Craig, London: Geoffrey Cumberlege, Oxford University Press, 1954 (reprint from 1894), p. 882 (Act II Scene II, line 257). 18. ↑ De Heilige Boeken van het Oude Verbond: Vulgaat en Nederlandsche…, Vol. 5; English Standard Version, Ecclesiastes I:2 and IV:5, at https://www.esv.org/Ecclesiastes+1/ (1 June 2017). 19. ↑ English Standard Version, Ecclesiastes IV:5, at https://www.esv.org/Ecclesiastes+1/ (1 June 2017). 20. ↑ A well-known study including such an analysis was by Simon Schama, Embarrassment of Riches. An Interpretation of Dutch Culture in the Golden Age, New York: Alfred A. Knopf, 1987. 21. ↑ It is interesting to compare these with the exhibition Modernism: in print. Dutch Graphic Design 1917–2017, on view in the Special Collections Library of the University of Amsterdam from 16 June until 1 October, 2017. 22. ↑ Jongert’s work for Van Nelle and comparable designs in Wilma van Giersbergen et al., Jac. Jongert 1883–1942 ‘proeven is koopen’, Rotterdam: Museum Boijmans Van Beuningen, 2009, p. 150, fig. 180, and p. 172, figs. 234, 235 designs for displays. 23. 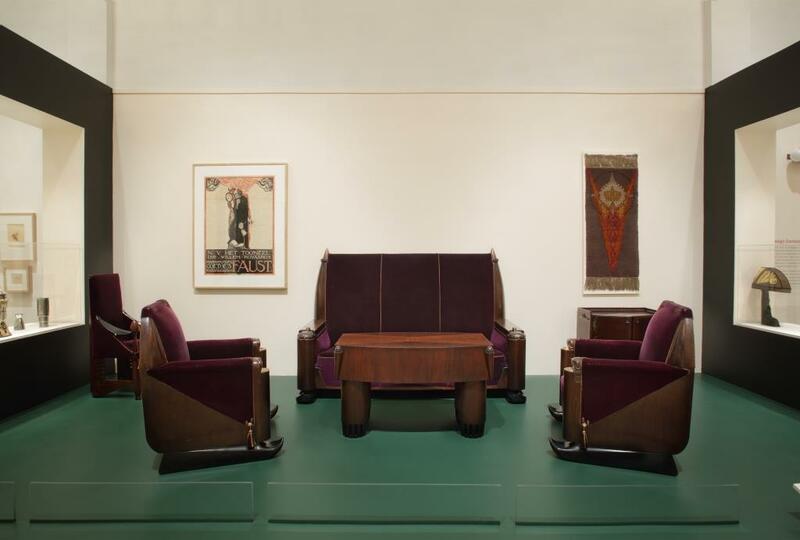 ↑ The Wolfsonian does not have these chairs in its collection and borrowed them from the Kirkland Museum of Fine and Decorative Art, Denver. 24. ↑ See Belcher, op. cit., note 11, pp. 62–64. 25. ↑ See at http://www.architecturaldigest.com/contributor/s-harris, posted 31 October 2013 (19 July 2017). Since 2013, Van der Haak’s textile patterns have also been produced in Oklahoma by the manufacturer S. Harris. 26. ↑ Interestingly, the exhibition Modernism: in print (see note 21) offers a similar contrast of the modern and postmodern by ending with a room installation that has ‘psychedelic’ designs by the graphic designer Hansje van Halem in effect referencing the late 1960s.